Some may take the view that this article rather belies Duck Holiday’s self-confessed liking for a glass (or several) of decent beer. 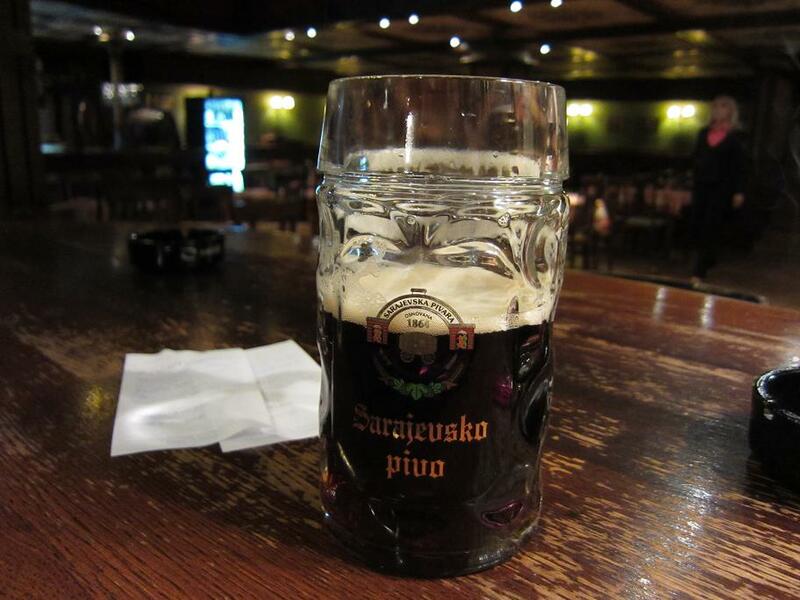 It would be wrong to say that this factor had no influence, but the Sarajevo Brewery – Sarajevska Pivara in Bosnian – is, to paraphrase Barcelona FC’s motto, more than a brewery. 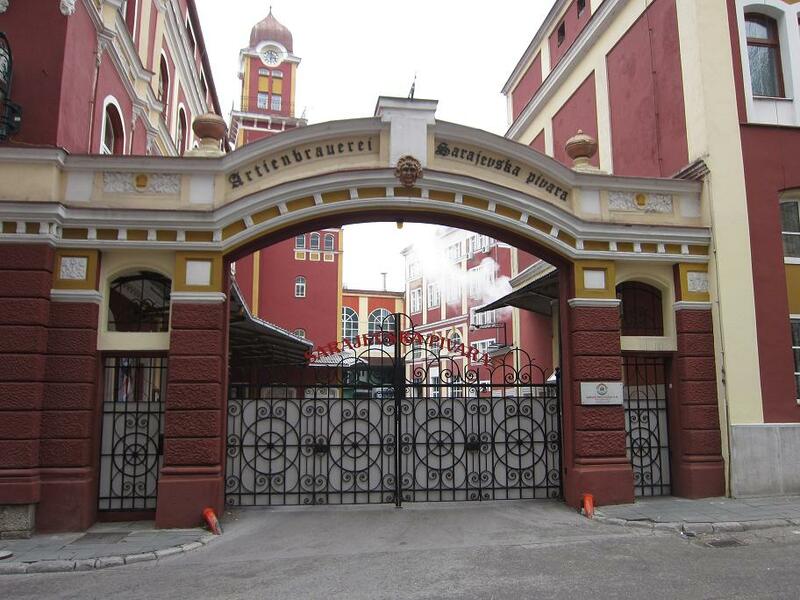 The brewery was built in 1881 by a Viennese industrialist, one Heinrich Levi, at the of the Austro-Hungarian empire. With admirable logic, Levi had the brewery built on the site of a water supply and it is this simple fact that made it such an important place in more recent times. Located just south of the Miljacka River near the Franciscan monastery, the brewery is above an underground lake and has its own well, making it of the few sources of clean water for a large proportion of the population of Sarajevo during the Serbian siege of 1992 to 1995. Like most of Sarajevo’s buildings, it was shelled and regularly struck by snipers’ bullets, but in common with other buildings in the city, it has been beautifully restored. The relatively new bar, combining restaurant, at the front of the brewery is spacious, able to accommodate 400 people, though you’d be unlucky to find it that crowded. 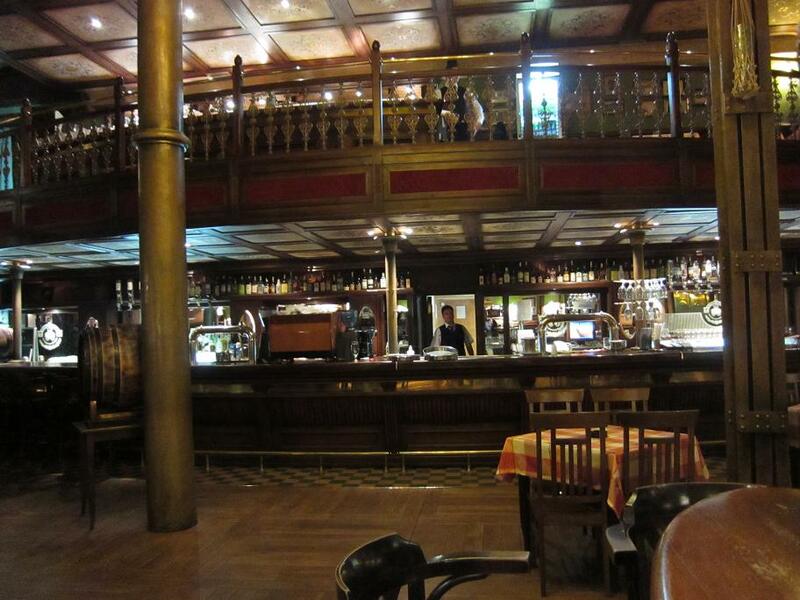 There are two levels, the ground floor with the bar and an upstairs with balcony seats. The menu is also quite extensive; you can have a full meal or just a snack to go with your beer. Vegetarian food is available on the menu. Of course, this is a brewery and it’s not obligatory to eat. ‘Pivnica HS’, to give the place its proper title, naturally enough sells the produce of the brewery it is attached to and this is one of the few places to enjoy the gorgeous dark beer (‘tamno’) on draught. The light beer is much more commonly seen and this is also available in the bar. The brewery even produces a non-alcoholic beer, though to Duck Holiday’s mind, this is rather like asking for an omelette without eggs. There’s no need to resort to this sort of thing to avoid a hangover. Both the dark beer and the ‘ordinary’ lager are gentle enough for a reasonable session, though a night on the ‘premium’ lager might be inadvisable. The beer in Pivnica HS is a little more expensive than in many of the city’s smaller bars, but the prices are still low by European standards and the bar is pleasant, comfortable and has a nice atmosphere. It’s a delightful place to spend an evening and the visitor is rewarded with not just a taste of Sarajevo, but also a taste of its history. This entry was tagged Beer, Bosnia, Sarajevo. Bookmark the permalink.